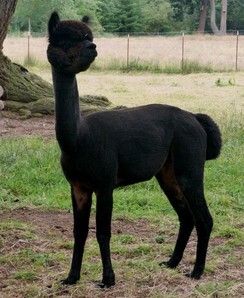 We are thrilled to add this black beauty to our breeding program! Ava is densely covered from topknot to toes in true black fiber with a nice hand. Ava has correct conformation, a nice straight frame, and proud presence. To complete the package, she has a very sweet personality and likes to interact with people. 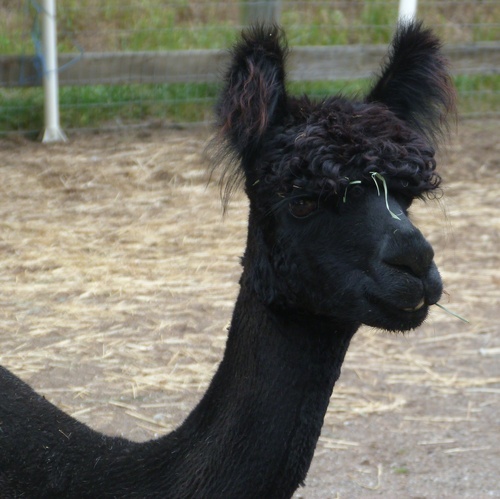 Within a week of her arrival, she has already become a farm favorite with visitors! 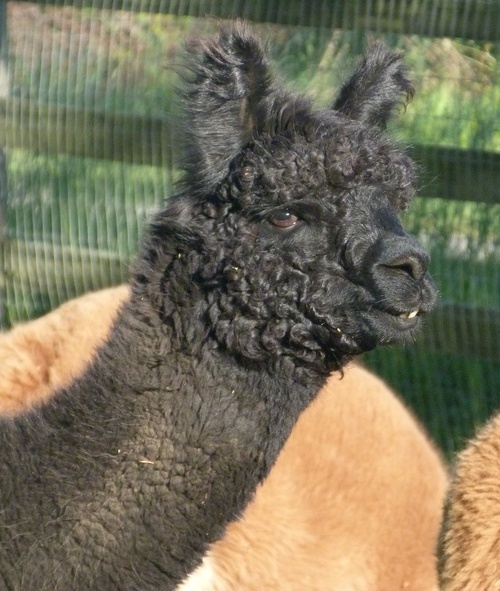 Ava's pedigree includes Peruvian Bueno, Peruvian Black Legend, and Silverado. 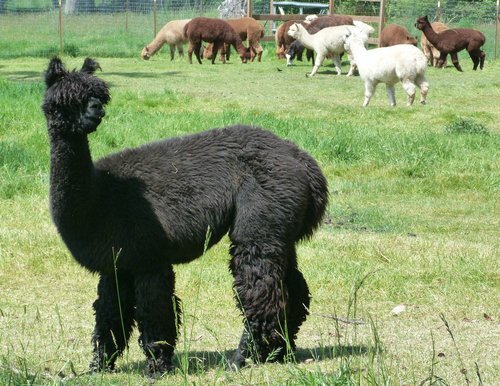 Purchased specifically with breeding to our SCF Black Ryder in mind, they were be a great match and produce a pretty black female in September 2016. 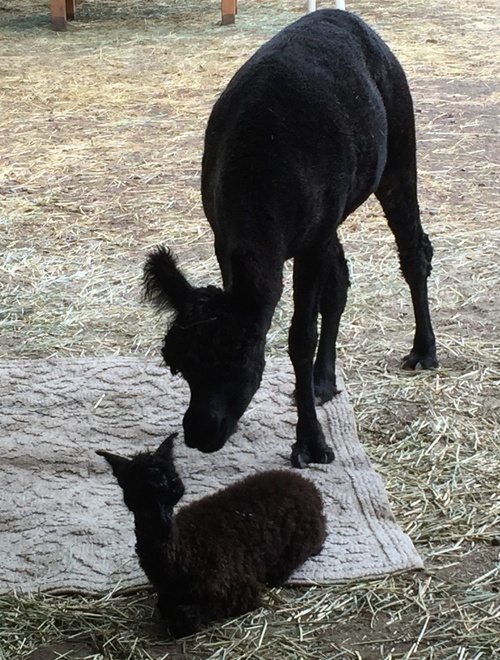 Ava has recently been exposed to Zumbador's JR for an August 2019 cria. 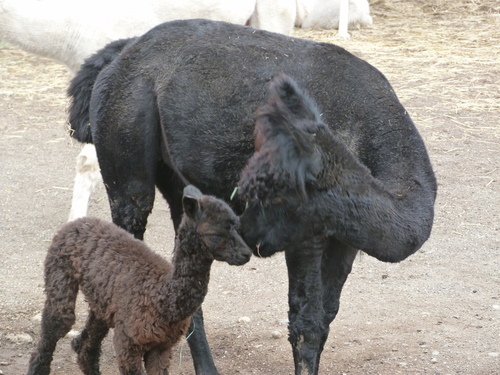 We look forward to the black cria we expect they will produce.